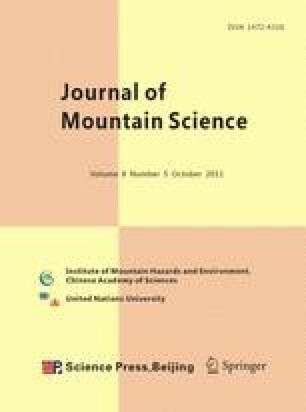 This paper describes a precise method combining numerical analysis and limit equilibrium theory to determine potential slip surfaces in soil slopes. In this method, the direction of the critical slip surface at any point in a slope is determined using the Coulomb’s strength principle and the extremum principle based on the ratio of the shear strength to the shear stress at that point. The ratio, which is considered as an analysis index, can be computed once the stress field of the soil slope is obtained. The critical slip direction at any point in the slope must be the tangential direction of a potential slip surface passing through the point. Therefore, starting from a point on the top of the slope surface or on the horizontal segment outside the slope toe, the increment with a small distance into the slope is used to choose another point and the corresponding slip direction at the point is computed. Connecting all the points used in the computation forms a potential slip surface exiting at the starting point. Then the factor of safety for any potential slip surface can be computed using limit equilibrium method like Spencer method. After factors of safety for all the potential slip surfaces are obtained, the minimum one is the factor of safety for the slope and the corresponding potential slip surface is the critical slip surface of the slope. The proposed method does not need to pre-assume the shape of potential slip surfaces. Thus it is suitable for any shape of slip surfaces. Moreover the method is very simple to be applied. Examples are presented in this paper to illustrate the feasibility of the proposed method programmed in ANSYS software by macro commands.